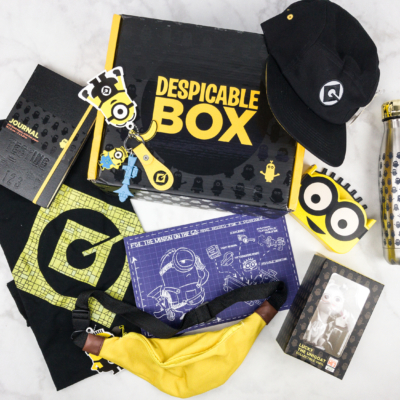 The Despicable Box is a subscription box made for all Despicable Me and Minions fans! Every month, you’ll receive a selection of exclusive and limited edition Despicable Me and Minions products like like collectibles, apparel and gear that you can add to your collection! The subscription costs $42.99 per quarter. 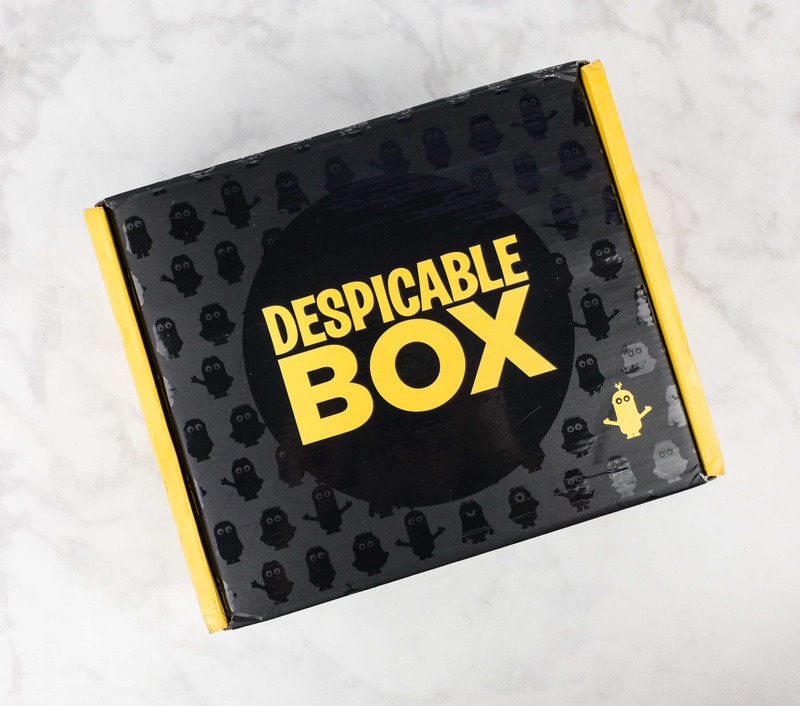 DEAL: Use code DBLUCKY08 and you’ll receive 20% off your first box! 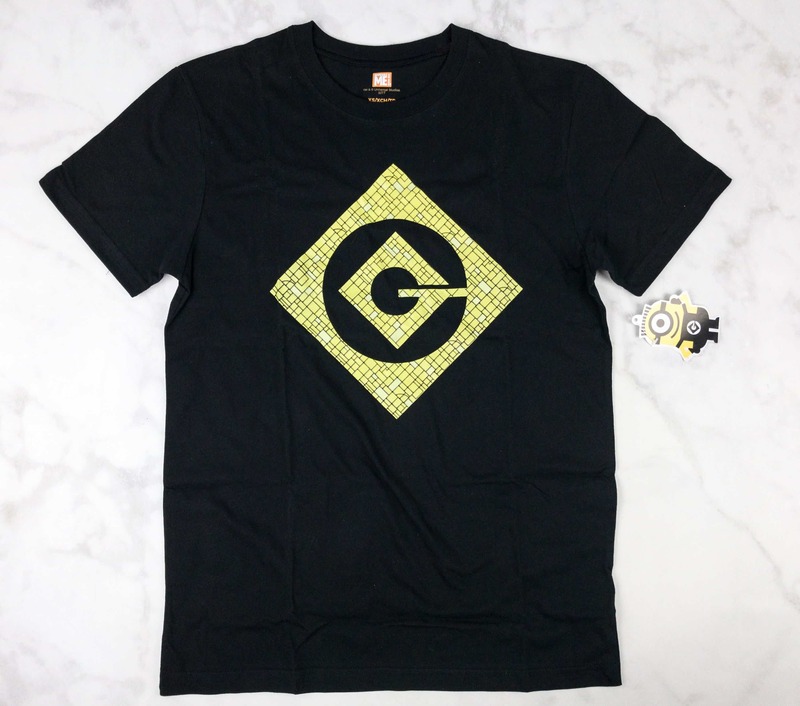 Ends 8/31! 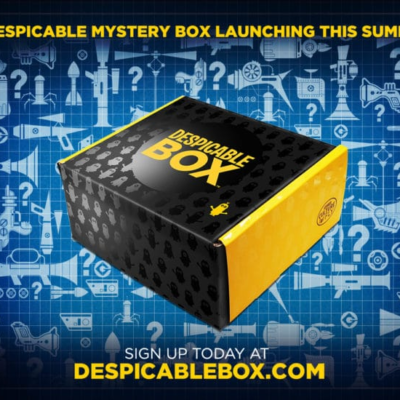 The box is filled to the top! 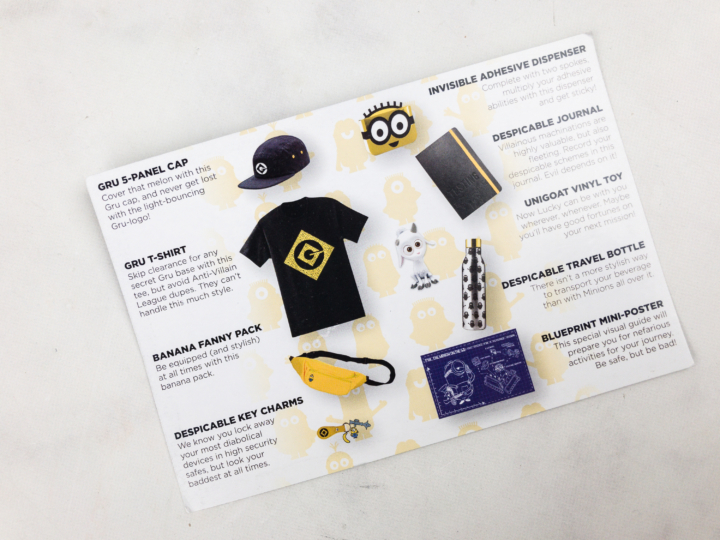 The information card comes with a list of all the items, and their description. 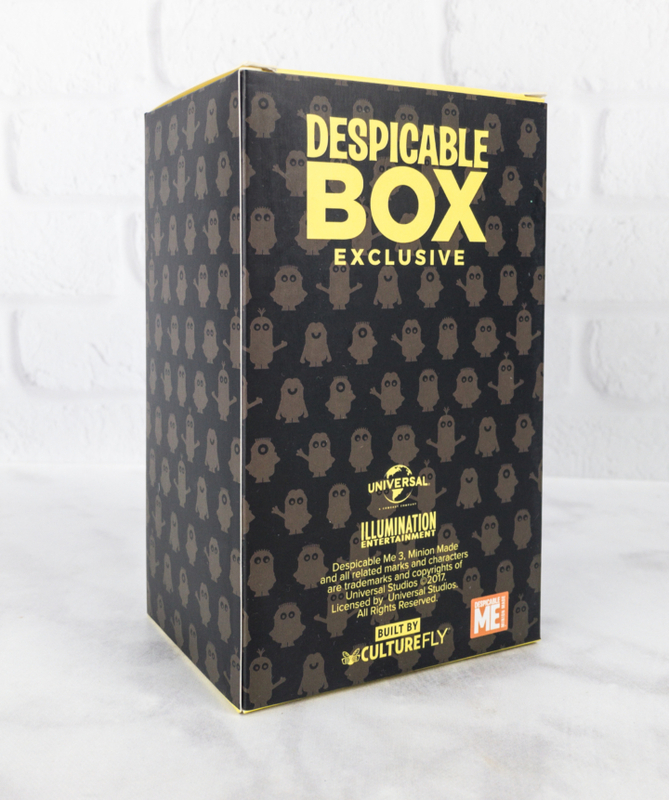 Everything in my The Despicable Box Summer 2017 box! 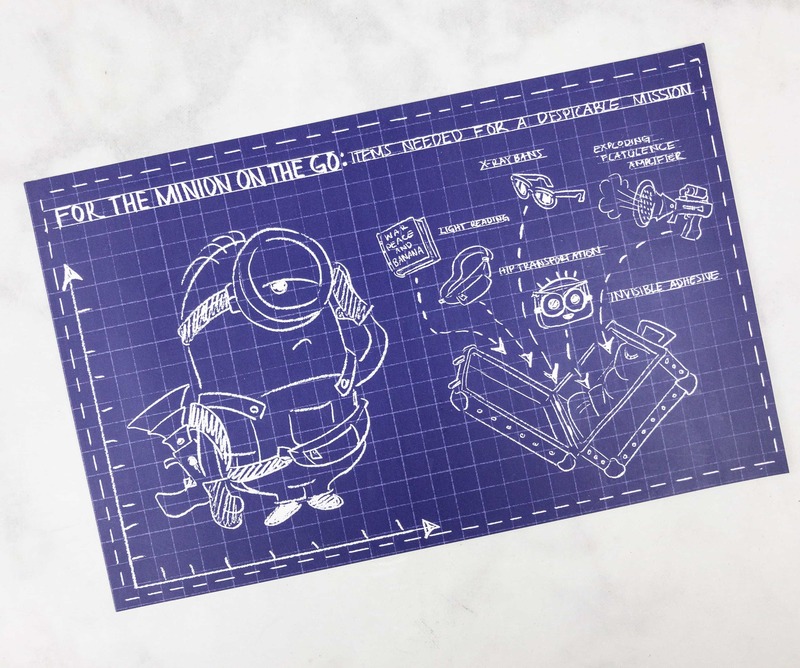 Blueprint Mini Poster – An illustration featuring everything a Minion needs for a despicable mission. It’s 11×7 printed on high-quality paper. 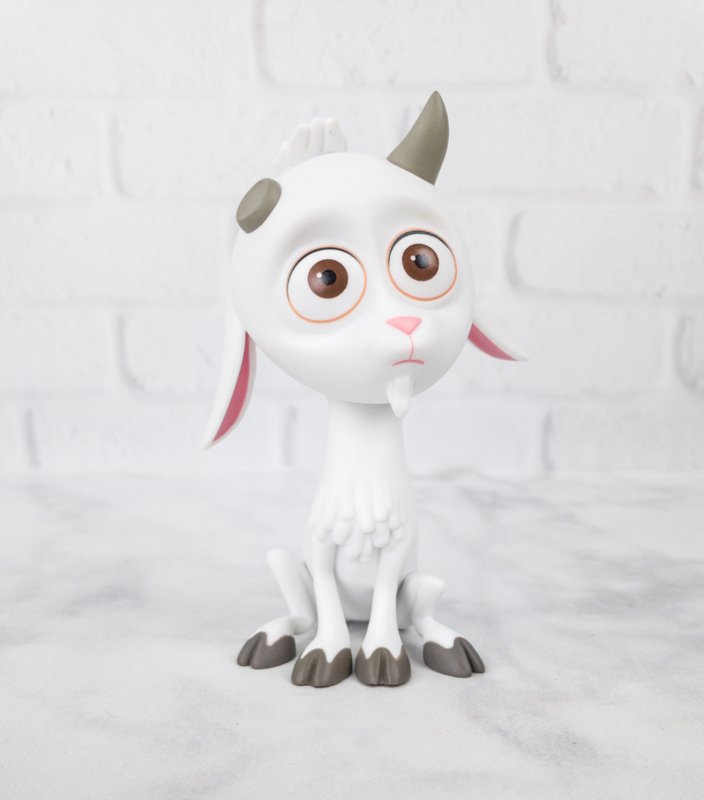 Also, the concept is fun and will suit whether a kid’s room or a kid-at-heart’s lair! Invisible Adhesive Dispenser – This double-sided Minion tape dispenser will liven up any work desk. Its front is removable, so the tape can be easily replaced. We’ll keep it on standby for future projects that will need some sticking! 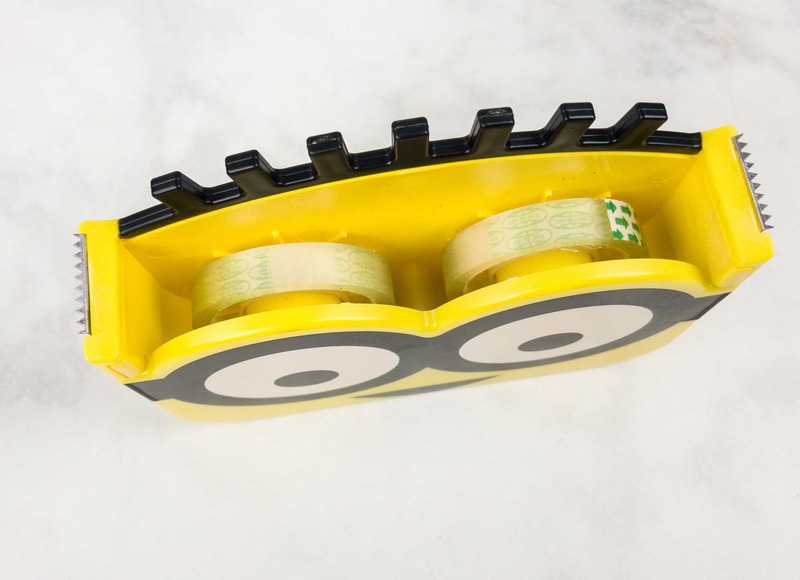 We all just totally fell in love with this hilarious item! 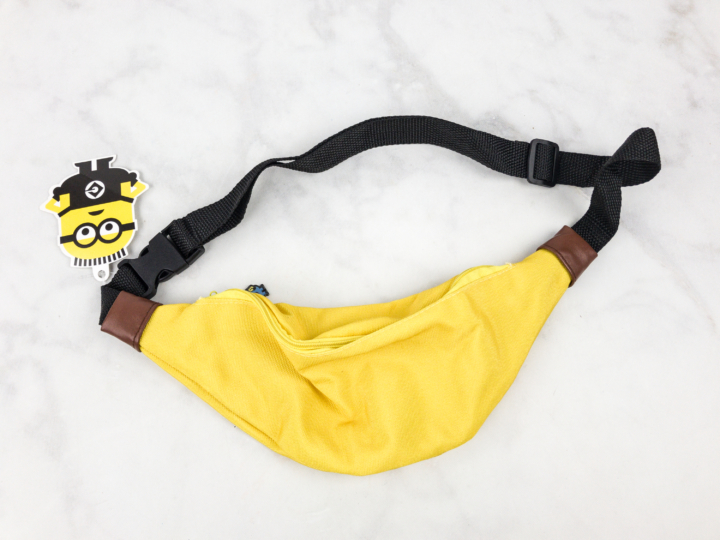 Banana Fanny Pack – What is a Minion box without a banana? 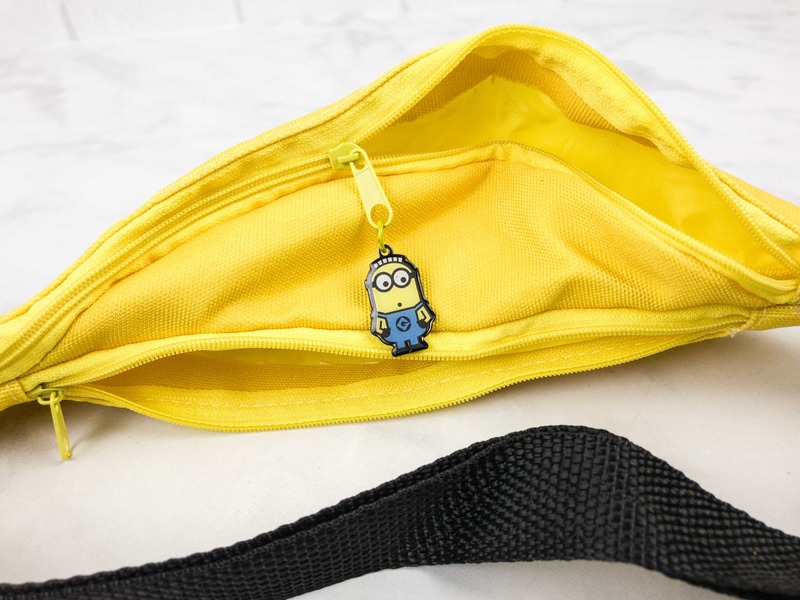 This cute yellow bag features a Minion zipper pull. 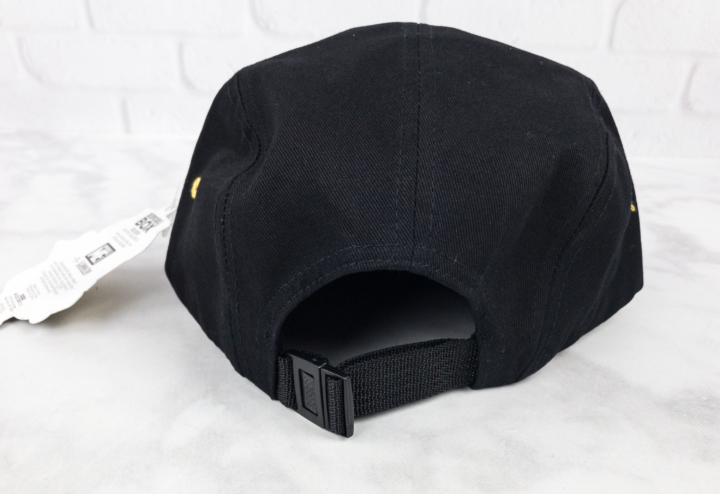 It is also divided into two areas where you can stash your essentials… or a real banana, perhaps? 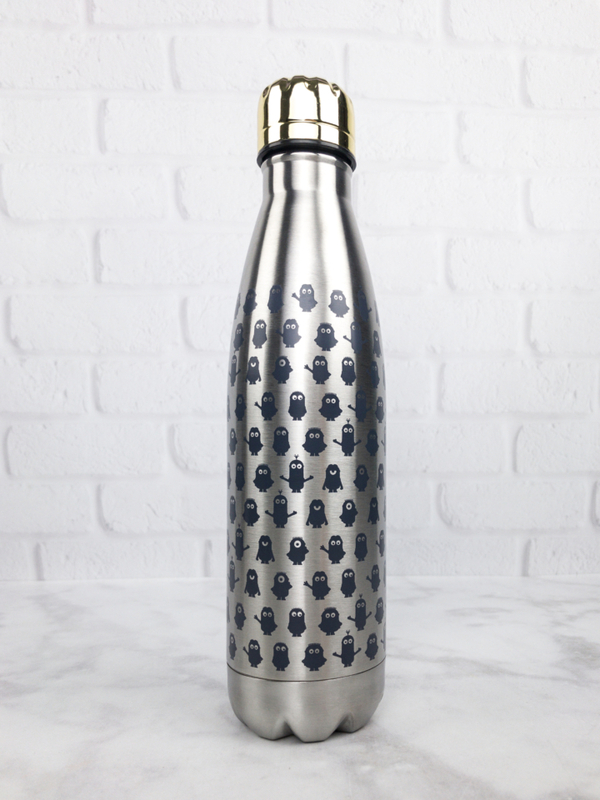 Despicable Travel Bottle – This stainless steel bottle can keep drinks cool while you go about your daily mission, whether that means school or work or a fun day out with the family. 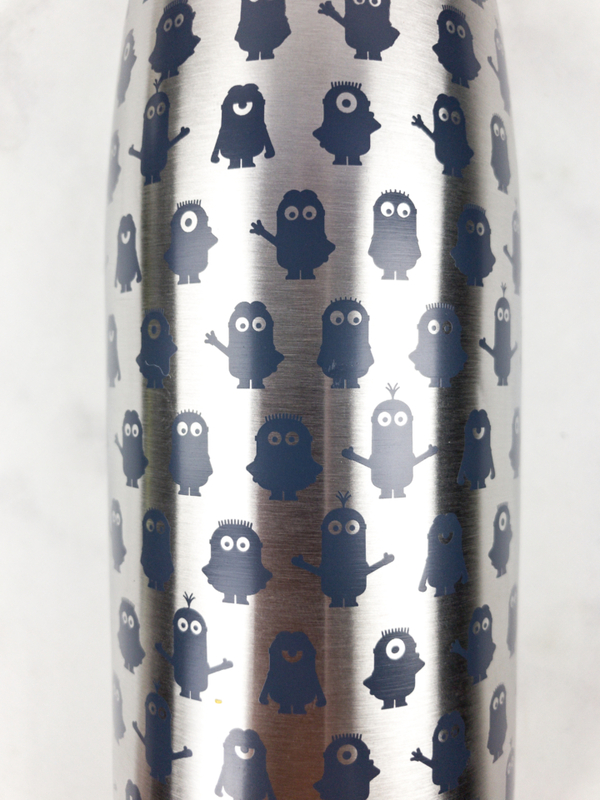 It looks like a S’well bottle, except that it’s cuter with all those Minion silhouettes. 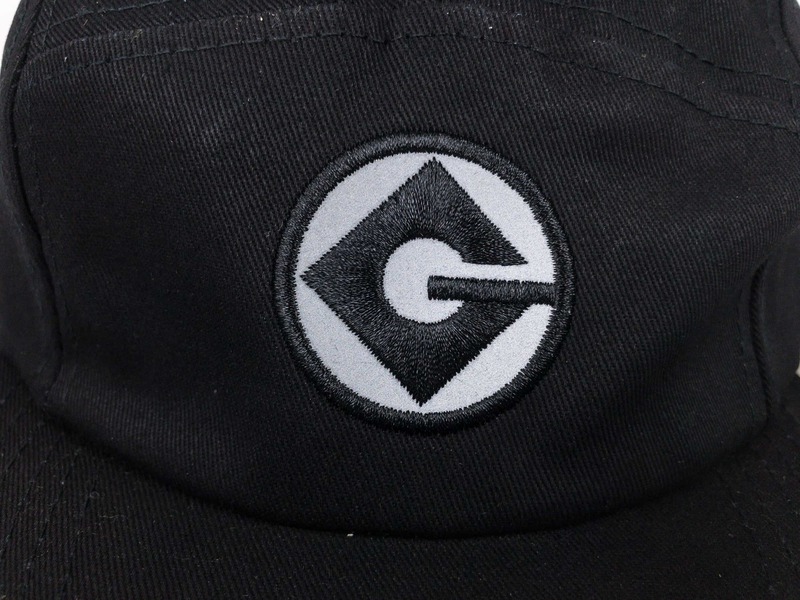 Gru 5-Panel Cap – Who doesn’t love Gru? 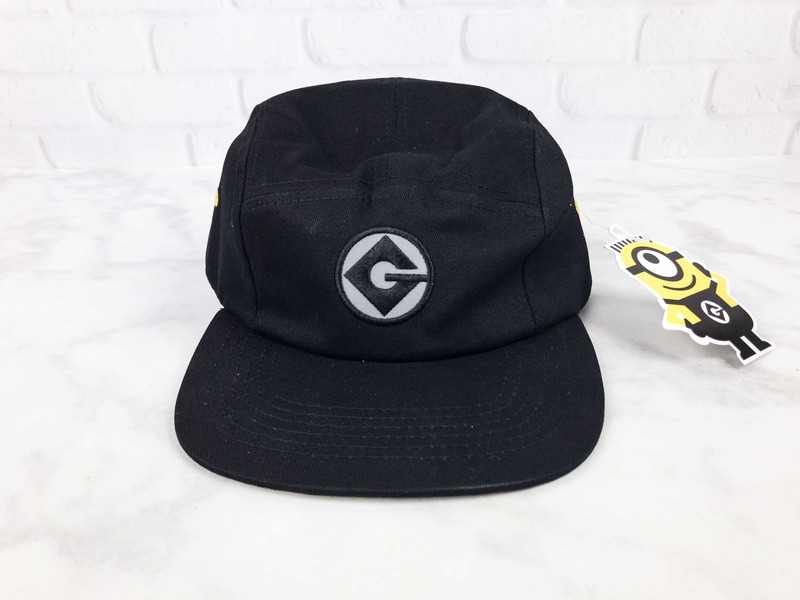 This cap is a great way to show your love for the former supervillain turned stay-at-home dad! 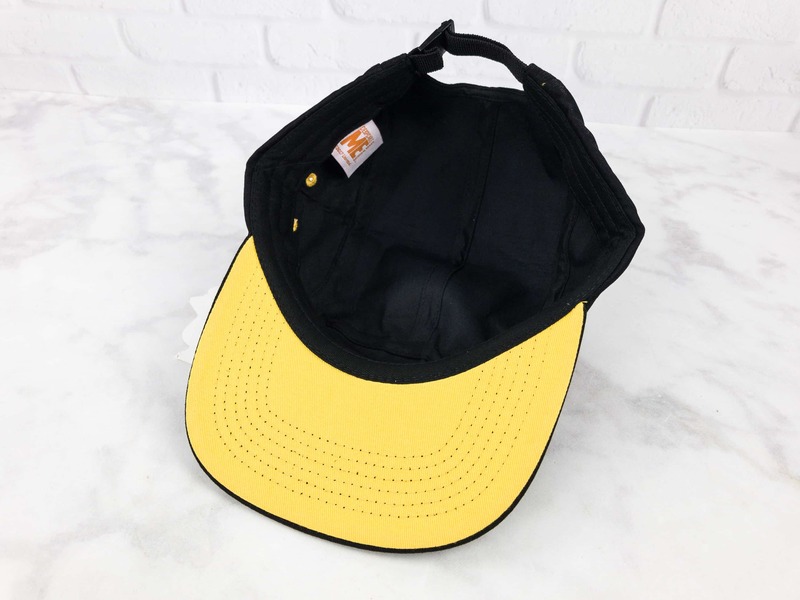 The cap is black on the outside but of course, it won’t be a Minion merch when there’s no yellow! It’s adjustable, making it comfortable and easy to wear no matter your head shape. 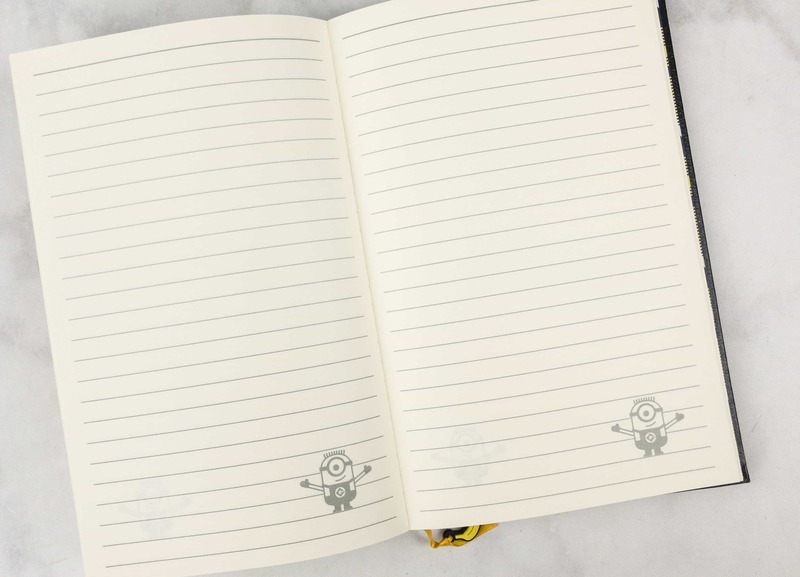 Despicable Journal – This Minion-filled notebook is the perfect school or work companion! 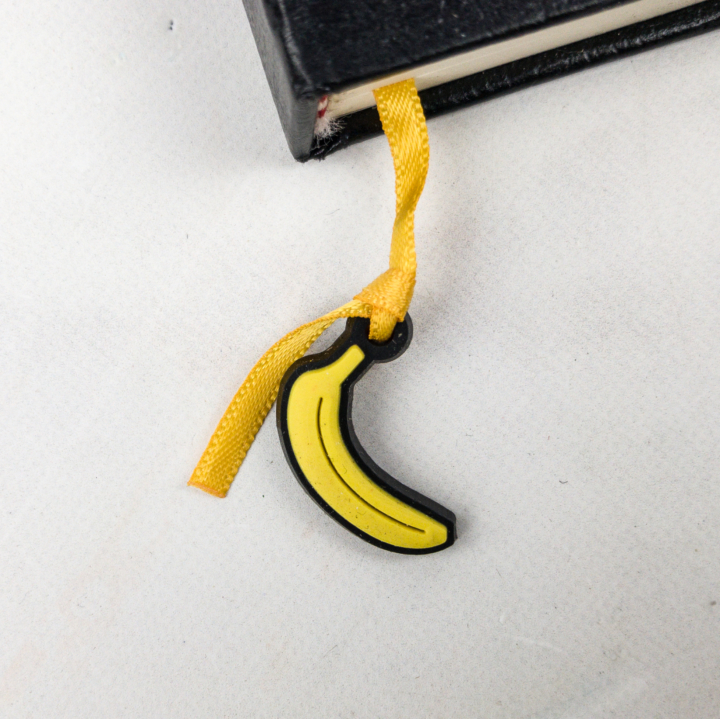 There also a banana page holder to help you keep track of your journaling progress. 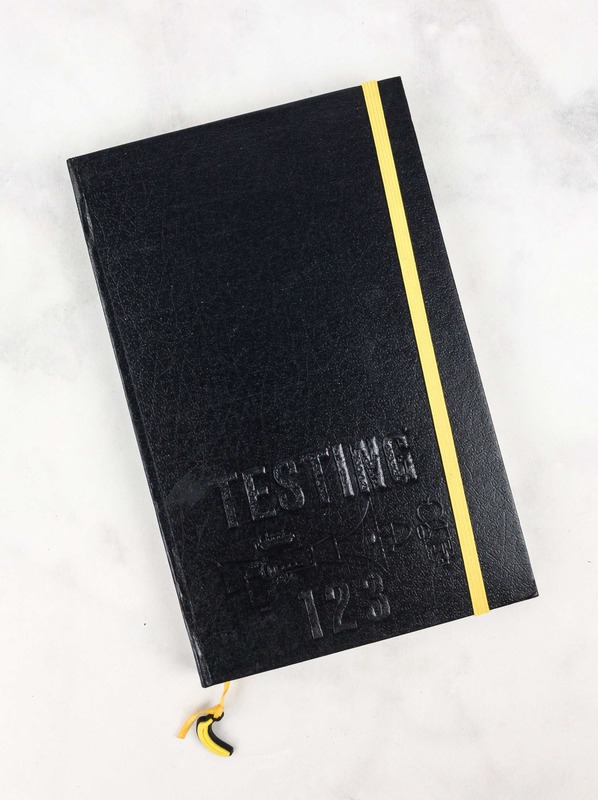 Embossed on the cover is a blueprint of the Minions’ Fart Blaster. 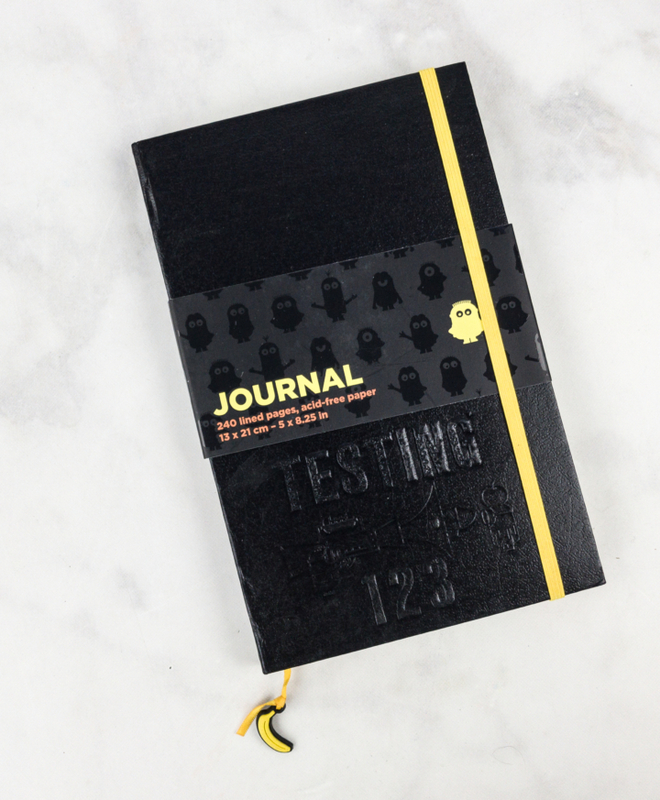 A yellow/black/white plaid print will welcome you on the first page of the journal. It was well-fastened and the paper is of high-quality. Minions are everywhere in this journal to remind us to have fun! Lucky The Unigoat Vinyl Figure – Agnes loves Lucky so much, and we do too! 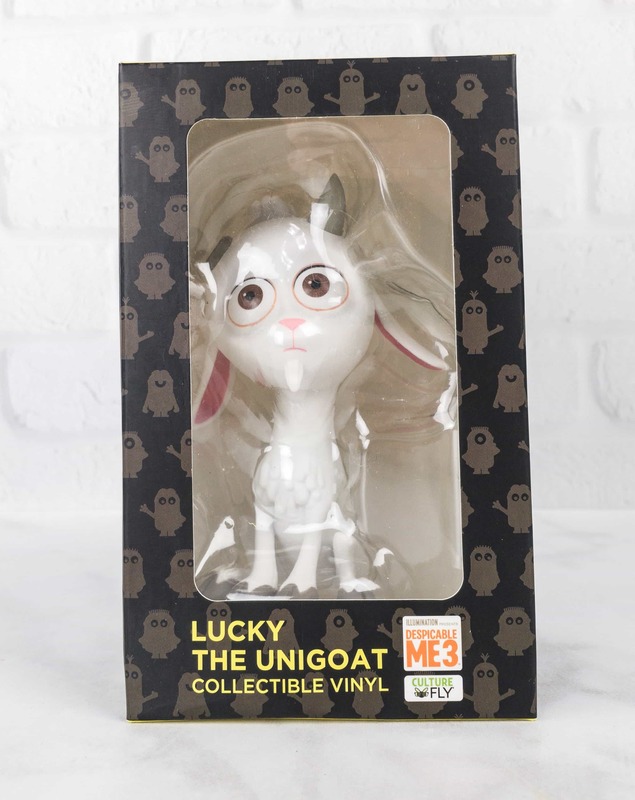 This exclusive vinyl figure even came in a nice box which can be displayed. 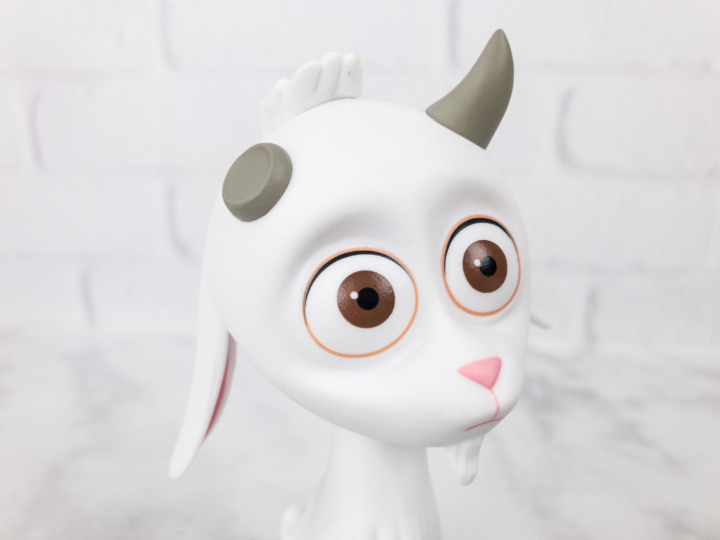 The detailing of this one-horned white goat is so impressive. It looks so polished even from the back. And look at those big eyes!!! Gru T-Shirt – Like the cap, this shirt bears Gru’s logo. It’s so soft and comfy! 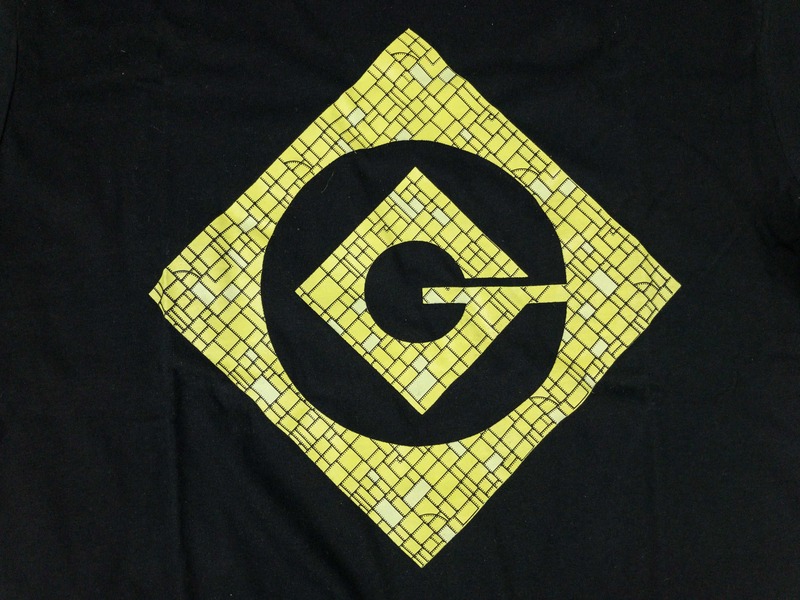 The design is awesome. This shirt is something you can wear to show your love for the series, even when you don’t feel so cutesy. 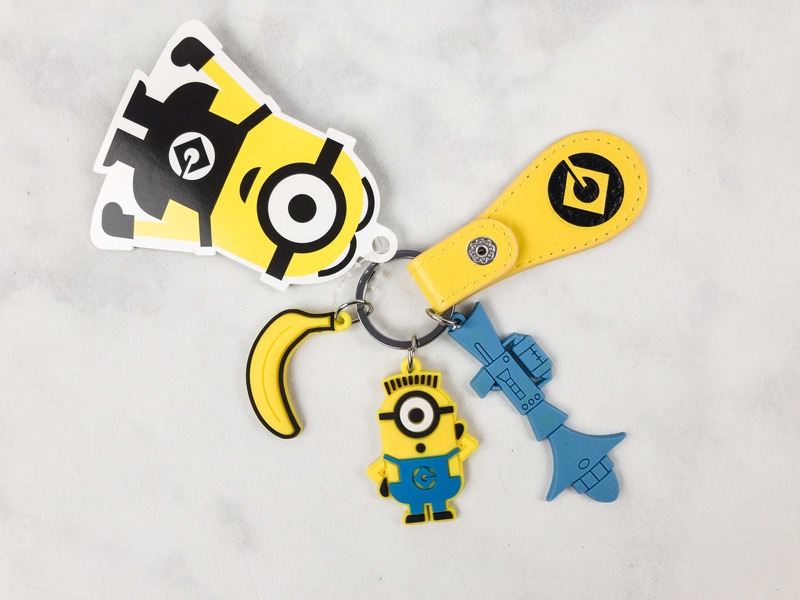 Despicable Key Charms – Features a yellow leather fob, a fart gun, a minion, and a banana. They make keys a lot easier to find! 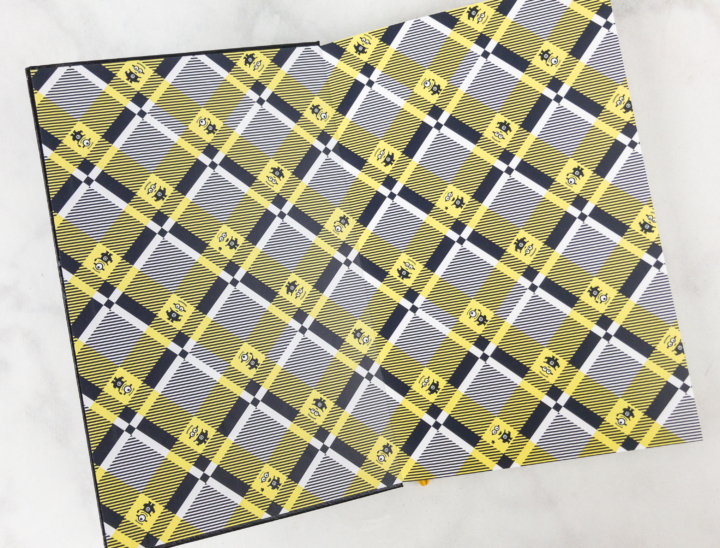 I’m not sure what child ended up with this – but it’s intended for their backpack! We’re totally suited up to join Gru Industries! 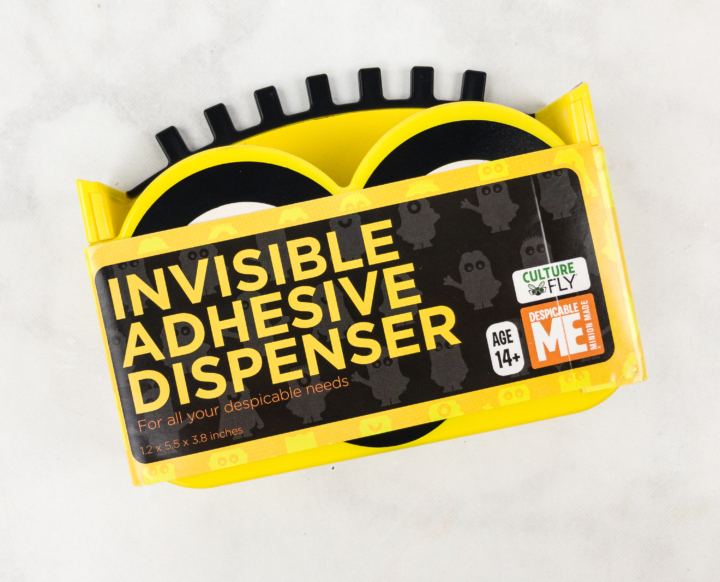 We just totally fell hard for this box – everything is perfect, and my kids totally. flipped. out. 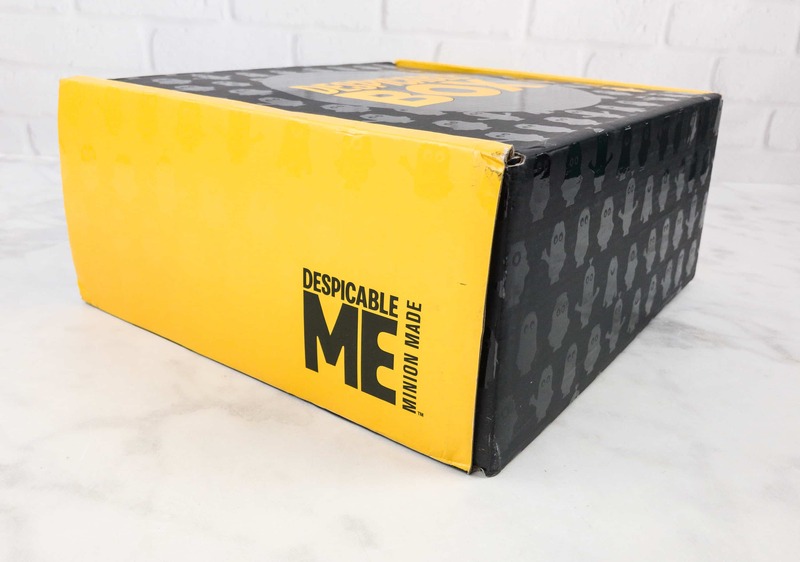 They were dancing and singing and many negotiations were made over every item in the box. 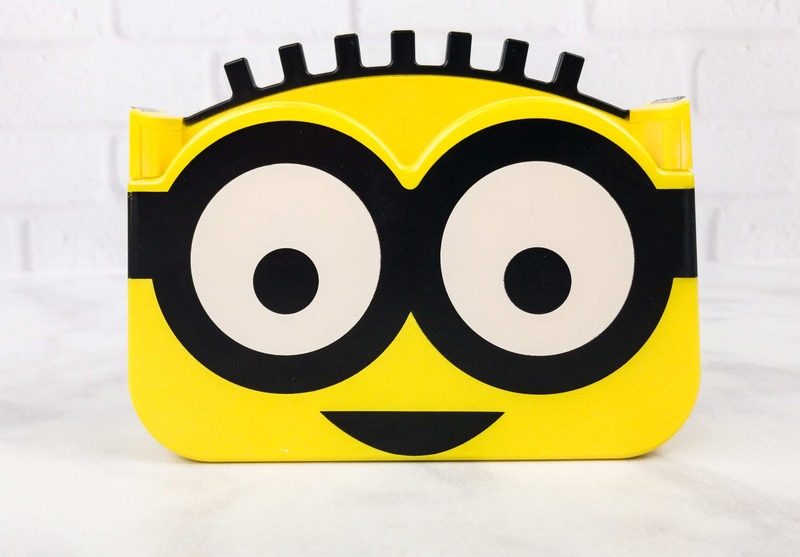 Plus they experienced the wonder and joy of the discovery of just what a fanny pack is (perfect for a Universal Studios trip!). The Despicable Box would make any Despicable Me or Minions fan happy. There’s a wide range of items that can be enjoyed by both kids and adults, and everything’s just so cute and functional and high quality! Visit The Despicable Box to subscribe or find out more! 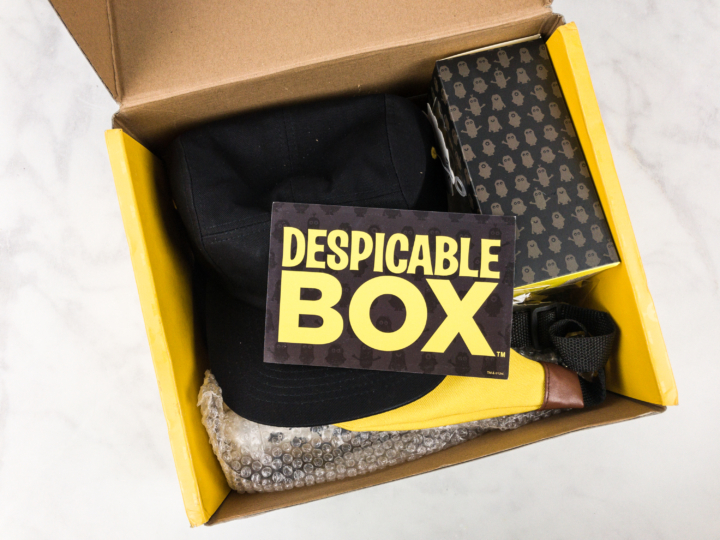 Inside each box, you’ll receive a selection of exclusive Despicable Me and Minions products. 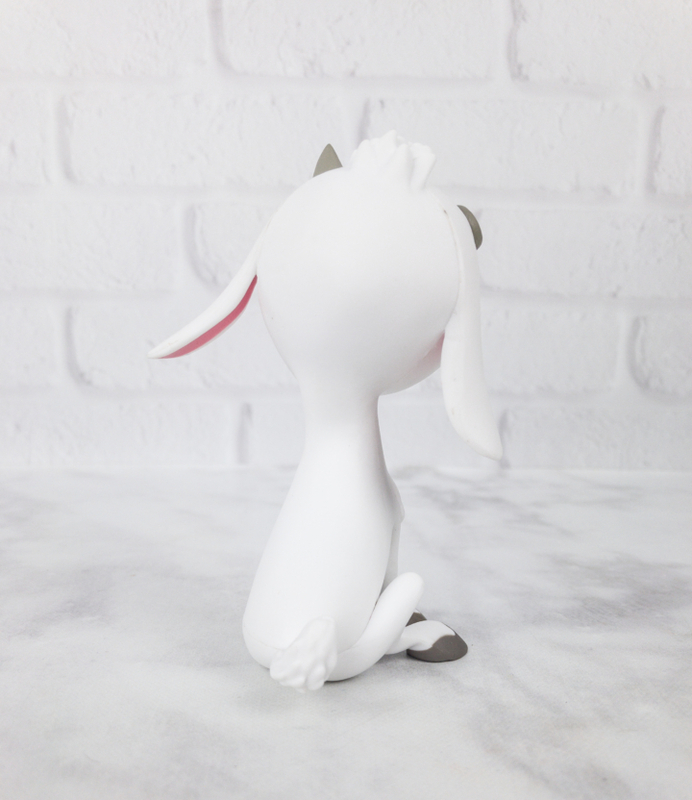 These items are limited edition, so don’t miss your chance to add them to your collection! 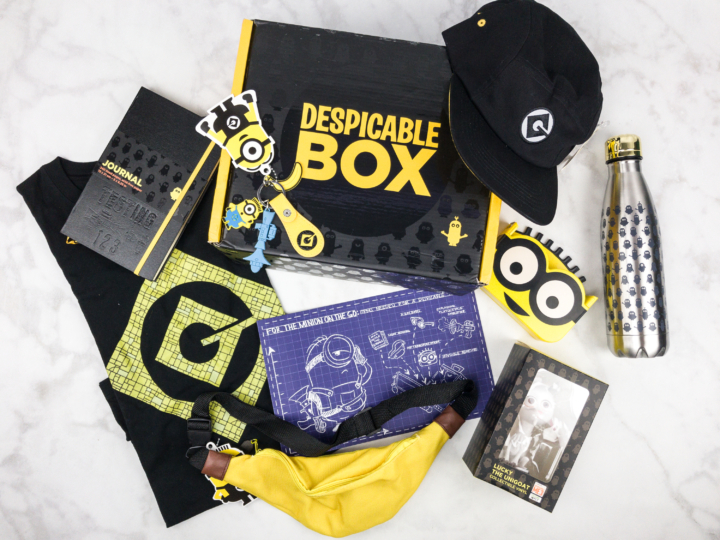 Every Despicable Box is stuffed with mystery exclusive collectables, apparel and gear straight from Gru's lab.